Macbeth: What's Up with the Crime Scene? Paparazzi Shakespeare: Ophelia’s Madness Revealed! Students will identify literary techniques in Romeo’s speech to Juliet in 1.5. Students will compare imagery and diction in Romeo’s speech to Juliet and Gough’s Academy of Complements (1684). Handout: Original line or familiar find? Have students read aloud Romeo's speech in 1.5.51-60. Hand out the handout and ask students to answer question 1, identifying the similes Romeo uses to describe Juliet. 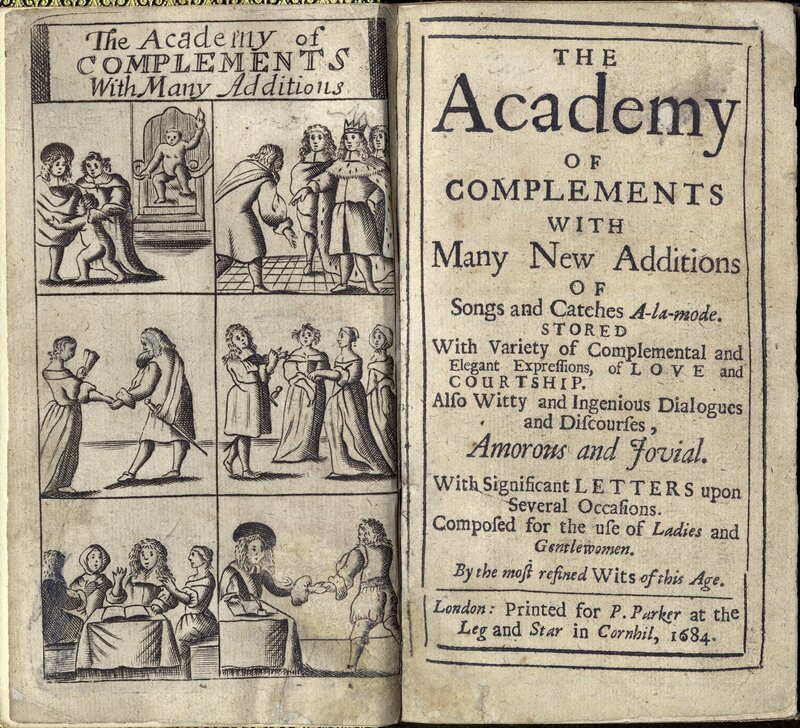 Next, hand out Gough's Academy of Complements: a poem from John Gough's The Academy of Complements, a book first published in 1639 and revised several times before this version was published in 1684. Have students read aloud the poem "Encomiums on the Beauty of His Mistress". Then ask students to answer question two on their worksheet, finding similarities and differences with Romeo's speech. Discuss the students' responses to questions one and two. Now ask them to answer question three, drawing conclusions about the role of writing and authorship in the sixteenth and seventeenth centuries. To conclude, discuss students' responses to this last question. Students may be interested to learn that plagiarism is a modern concept. Students may use the completed handout along with other notes for a summative assessment essay on Romeo’s character. This may be an evidence-based essay or multimedia presentation.